The system requirements for Batman: Arkham Knight have been published, and if you want to play this game on the highest possible graphics settings, you'll need to be packing a flagship graphics card such as the Nvidia GeForce GTX 980. Equivalent AMD graphics cards haven't been listed in the system requirements, though we expect a Radeon R9 270X (or Radeon HD 7870) will meet the minimum requirements, while an R9 290X will be needed to run the game on Ultra graphics settings. Interestingly, Arkham Knight has two listed storage requirements: 45 GB and 55 GB. This could indicate that the game will come with a high-resolution textures pack, similar to Middle-earth: Shadow of Mordor, which would take up an extra 10 GB of space. Judging by the system requirements, Arkham Knight will need a pretty decent gaming PC to run on when it launches on June 23. Going on past releases in the series, if you have the horsepower to do so, cranking the graphics settings all the way up will produce a stunningly beautiful game. ...and it requires at least a 4 core CPU. I hope we are going to have more and more games that can truly take advantage of our enthusiast builds. Steve and hahahanoobs like this. Rocksteady ain't playin!!! I should be alright with my system. I'm at the recommended specs on my rig so won't have any issues there. I just need to finish batman AK city before I pick this up. I totally skipped origins as I heard it wasn't that great and had a few game stopping bugs. Dang, I just bought an MSI GTX 970 a few days ago...shoulda got the 980. Couldn't justify the $230 price difference though. Most retailers have a no questions tasked return policy within a week - you could get a 290 or a 290x for around $50-70 more than you paid for your card. Origins wasn't that bad, but I didn't encounter any known issues with the game. If you're a completionist like me the map makes it pretty difficult to accurately determine where collectibles are located within the game. Regarding the bugs, I bought the game about seven months after its release date so WB Games released an update to address the bug issues. I'd recommend buying the game if you can find it at a bargain price. Of course, if you don't, it won't impact the main trilogy. Arkham City, however, will so I'd recommend you play that. I already own AK city GOYD picked it up on a steam sale for $7.99 I've seen origins for around the price but skipped it based on feedback I got on the game. I'm about 50% completed AK city so need to finish it before this game comes out. GTX 980 is needed only for Ultra HD resolution, so everyone with a good PC can handle this game with high settings at 1080p, and we dont forget this game is based on Unreal Engine 3 so no problem with framerates for the most of us. - Why do we have affordable 4+ core CPUs on the consumer market for a very long time and most of the games still only utilize 2? We should have had heavily threaded games for more than a decade. - Games can be coded in a way that they would be scalable in terms of CPU cores as well, not only in graphic details. We could easily have a CPU settings section in the options menu of our games the same way as we have graphic details. In a nutshell, making games that properly scale on different hardware is not rocket science and absolutely does not mean that folks with lighter rigs won't be able to play new games. Just look at how many games are there that you can play perfectly both on a GTX660 and a GTX 980 depending on your settings. That's what we need for CPUs as well. Oh and I have an i5-4460 which is far from 300+ dollars with a Gainward GTX970 Phantom and I still can't make advantage of this CPU in the vast majority of the games. I used to have i7-2600@4Ghz. All requirements if not mentioned specifically are for 1080p/60fps. I am very familiar with Batman games on pc and there's no one game that offers ultra in graphics options so Ultra is for Ultra HD resolution. I think most of the games lately are relaying more and more on the GPU which is really a good thing instead of worrying about your CPU and your Mobo Socket life span , you can actually forget all of that and change only the GPU when you need ,even now the RAM is useless a 60dollars DDR3 can easily match a 400dollars top of the line DDR4 on gaming ,and what's the point of moving from a 4c/8t i7 2600 to a lower frequency 4c/4t i5 ? This is not exactly right. You could make advantage of CPU if the game was coded that way. CPU socket life span??? Have you ever worried about that or your PCIe x16 lane life span? It doesn't make sense. I agree on the memory, it doesn't make much difference. Perhaps just not yet. You'd be doing yourself a disservice. Most bugs are fixed (I kid you not, there is only one bug with his cape when flying and it's easily fixed by a quick dive. That's it.) and the games performs and looks better than Arkham City. The story is great and Rocksteady has given their blessing in considering it cannon. And some events of Origins are already included in the trailers for Arkham Knight. The game is great. It's not as groundbreaking as Asylum or City, but it's still a hella good game. Do not miss it. Especially now that it's considered cannon. You usually have at least 10 days to return a product for free. Go get yourself a proper 290X with 4 GBs of VRAM or 8. Either that, or pony up for a 980 or SLI/Crossfire setup. Thanks I will take this into consideration for the next steam sale. Let's continue in a different thread once there is a thread for this conversation.! ...and it requires at least a 4 core CPU. For starters, "quad-core CPU" is a completely meaningless term. Are you suggesting a $50 Athlon 5350 (a quad-core Jaguar CPU) will run this game well? Or are you suggesting a Core i3 will not? That's specially significant because that chart lists the Phenom II X4 965 and the Core i5-750 as a minimum requirement, but a dual-core Core i3-4130 is faster than both, according to passmark. My money is on Core i3 CPUs giving at the very least 80% of the performance of a Core i5 CPU, and Core i7 ones providing no benefits over a Core i5, like it always is. And I wouldn't be surprised if an overclocked Pentium G3258 also runs this game reasonably well, despite having two cores and no hyper-threading. I'm not saying that what you've said is untrue - but don't use passmark to try to make a point. That site is pretty crap. I'm sick right now and too tired to look into the details of what you've said so I don't even know if I agree with you... but please don't use passmark. 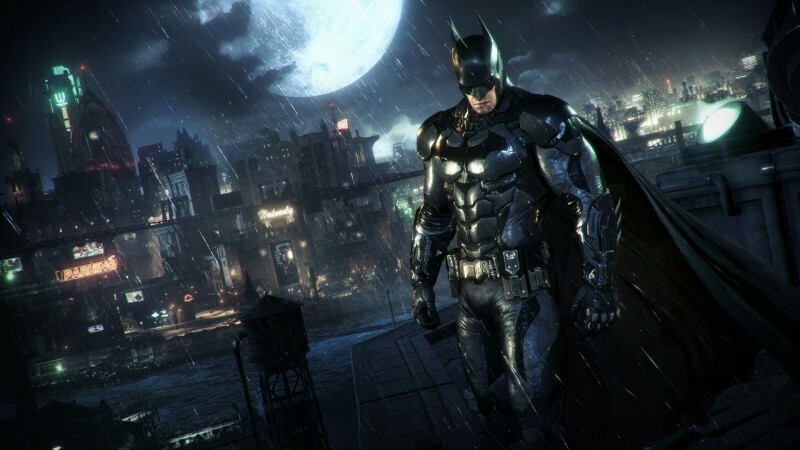 Warner Brothers say Batman: Arkham Knight PC fixes "will take some time"